The circuit uses the classic field effect input Marantz HDAM circuit, the vocals are sweet, the low frequency is full, and the overtone is very good. HiFi Art-Elfidelity. Hi-Fi Tube Amplifier. Integrated Amplifier. Marantz MM7025 - 280W 2.0-Ch. Stereo Power Amplifier - Black Excellent used condition. Performs perfectly. 280W total power - 140W x 2 @ 8 ohms (170W x 2 RMS @ 6 ohms, 20Hz - 20kHz) for low distortion and precise control over speakers. Marantz Model 8b Tube Stereo Power Amplifier. Marantz MA-500U Mono Power Amplifier. Near Mint ! Great sound ! Near mint ! Trade: Make your budget go further with a generous trade-in allowance. Let us know what you have available, and we’ll get you the best possible trade-in allowance. Service History: None. Support: We don’t just make promises. So, this magnificent amplifier was displayed inside a fancy custom made glassed enclosed A/V rack. No cables or power were provided to this rack preventing exactly what normally happens. Main Amplifier InBalanced & Unbalanced: 5ch (Exclusive use by a selector switch. ). Marantz MA-500U Mono Amplifier w/ THX (In excellent condition!). Condition is Used. Shipped with USPS Priority Mail. Marantz Model 510M Power Amplifier. Maintenance done! A large power amplifier from USA Marantz. There is a VOL knob looseness. Released year: 1976. Instruction manual copy (English). AC100V 50Hz/60Hz Other information. For your consideration. Estate sale buy from original owner. This amplifier is in working order and superb condition. The unit show signs of use, and is clean and working properly. You are buying with this in mind. MARANTZ 510 M AMPLIFIER IN EXCELLENT CONDITION !! RARE !! COMPLETE !! MARANTZ 510M AMP IN EXCELLENT CONDITION ! GAUGES LIGHT UP & IT WORKS GREAT! Condition is gently used. Marantz HDAM circuit Class A Power Amplifier 2.0 Channel 120W 120W. The circuit uses the classic field effect input Marantz HDAM circuit, the vocals are sweet, the low frequency is full, and the overtone is very good. Marantz Model 250. Released year: 1970. Fulfilling middle low-pass and well-missed, smooth and dry sound. User manual copy (JPN). AC100V 50Hz/60Hz Other information. Marantz HDAM is a worthy predecessor, as long as the intentions to do, the effect is much better than the preamp op amp, more relaxed, more delicate, more warm and charming, because the classic, far from ordinary electronic tube and op amp preamp In contrast, the sound can be compared with the beauty tube tone. Marantz Model 8BK Stereo Power Amplifier. Tube tastes very strong. The preamp are using 3pcs 12AX7 Tubes. default is not include the AC input cable. Works great!! Listing is for what you see in picture. Remote control or any other accessories not included. Expect some kind of wear from use. Good condition. Marantz SM-17SA. The goodness of sense of SN and the delicate sound quality are suitable for a wide range of preamplifiers. Simple design and easy-to-use power amplifier. Released year: 1999. User manual copy (JPN), power cable. Circuit is on the basis on Marantz MA-9S2, sound is very good. 150W x2 HIFI Audio Power Amplifier Assembled Board. Power Output: 150W (8R)THD=0.03%. 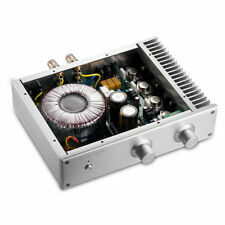 We majored in Hifi audio DAC, amplifier， preamplifier ,headphone amplifier and other hifi DIY audio parts. This is a fully assembled board and tested, without transistros. Circuit Citation Marantz MA-9S2, sound is very good. 150W x2 HIFI Audio Power Amplifier Assembled Board. We majored in Hifi audio DAC, amplifier， preamplifier ,headphone amplifier and other hifi DIY audio parts. Ampli Marantz 1070 en bon état. Marantz Modèle 8B Amplificateur de puissance stéréo à tubes sous vide (d311. MPN Model 8B. Etat: Occasion. ). Puissant, critiques sur le net 15 Kg, et 2X80 Watts / 8 Ohms. AMPLI MARANTZ Model 1050. - colissimo international ( envoi sous 24 h ). - colissimo ( envoi sous 24 h ). ENVOI FRANCE Power output: 50 watts per channel into 8Ω (stereo). 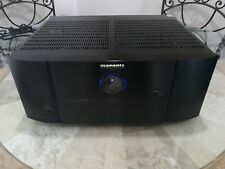 vend d'occasion un amplificateur MARANTZ PM5003 couleur argentée- L.44cm - P.34cm - H.10cm. -. avec télécommande, jack de raccordement entre décodeur et ampli. Fonction Source Direct. Balance/Bass/Treble/ - révisé très bon état N° de pièce fabricant MZ 000949005580. A retirer sur place. AMPLI MARANTZ PM 140 lecteur K7 SD 140. - colissimo international ( envoi sous 24 h ). - colissimo ( envoi sous 24 h ). ENVOI FRANCE . L'appareil inclus les 2 pièces plastiques qui s'ajoutent au dos pour pouvoir poser la platine vinyle Marantz dessus. et fonctionnent. (envoi inclus). Marantz 140. marantz 3200. marantz 104. WISH TO SEE THEM?. ASK FOR PICTURES > I WILL SHOW YOU THEM. 100% WORKING ORDER. Beautiful Saul Marantz Power Amplifier In EX Working Condition. Power output: 65 watts per channel into 8Ω (stereo). Signal to noise ratio: 82dB (MM), 95dB (line). Input sensitivity: 0.28mV (MC), 2.8mV (MM), 150mV (line). This is a single Marantz mono amplifier model 15. 4 pieds à visser, diamètre 45mm, hauteur 17mm pour vis de 3 ou 4mm (2 sets disponible). 4 pieds à visser avec patins mousse, diamètre 48mm, hauteur 19mm pour vis de 3 ou 4mm (3 sets disponible). Envois possible .